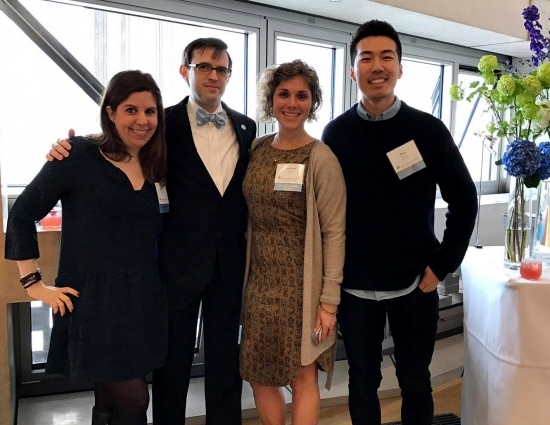 Spring is here, and with it, the CUCL is stepping up its programming—we've had a number of amazing events which you can read about below, and are looking forward to more—and this is the reason why we are exceptionally skipping our "Meet the Board" section this month. We look forward to meeting you at one (or all!) of our events! Can you name the novel for which this is the first line, "It was a bright day in April, and the clocks were striking thirteen"? Or do you know how many U.S. states are landlocked (don't border an ocean, great lake, or the Gulf)? Or who is Reginald Kenneth Dwight? These were just a few of questions that faced the CUCL quiz team at the Prince Of Wales pub when they competed at the US Alumni Club Quiz Night on March 2nd. While not triumphant, the team tied for 5th place in a field of ten teams. 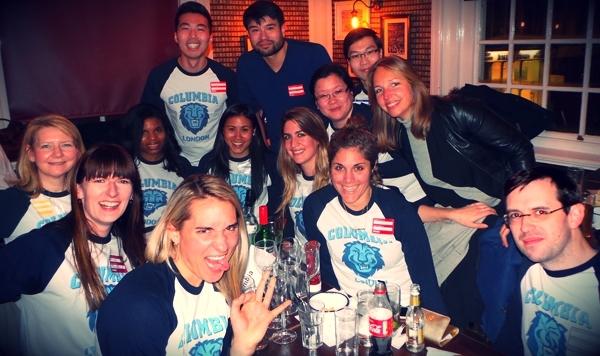 Columbia fell short of winning by only a few points (it was a very contested event) but the Lions were champs for the most spirited participants with their enthusiasm and team shirts. If interested in owning your very own shirt, please contact Courtney. First come, first served. Only five medium remaining. £16 each. Following global faculty and trustee meetings, President Lee C. Bollinger '71LAW spent Sunday afternoon at the Tate Modern for a special Columbia program. A select group of attendees, including CUCL Board members, enjoyed small group tours led by Tate Modern exhibition experts. Highlights included Kader Attia’s Untitled (Ghardaïa) town sculpture composed entirely of cous cous along with a few of Louise Bourgeois' infamous spiders. 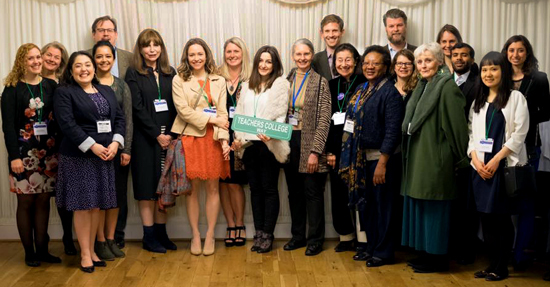 On Saturday, March 11 members of the Teachers College community in London were treated to an evening at the House of Commons with a lovely view of the Thames River. Guests had the opportunity to hear from President Susan Fuhrman about all of the latest leading-edge research to becoming out of the College. Photos from the event are available on this Facebook album. Our amazing alumni Boyko Boev (LW'04) and Susana Seijas (JRN'01) are the brains—and voice—behind these walks, which we know will be very successful. We will start with that most Londonian of places... Soho. The walk will last 2 hours. After the walk we can have a drink at the Marquee, a music venue which became famous owning to performances by bands like The Rolling Stones, Led Zeppelin, Jimi Hendrix, and Pink Floyd. 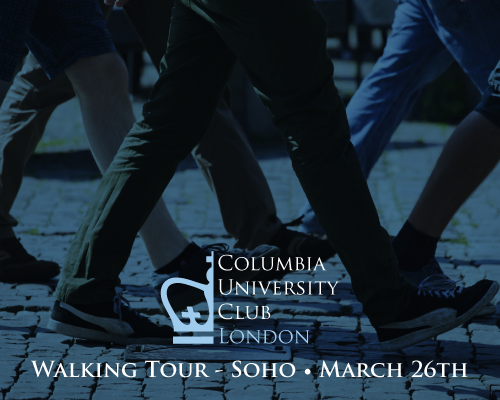 Join Columbia University Club of London for our April Happy Hour at Jinjuu Soho. This special evening is being hosted by fellow Columbia alumna Judy Joo (SEAS ’97). As a Korean-American French-trained chef based in London, Judy’s culinary expertise spans the globe. As the host of Cooking Channel’s ‘Korean Food Made Simple’, Judy is a culinary ambassador for Korean cuisine who brings the robust flavors of her native country into home kitchens each week. In May 2016, she released her first cookbook, Korean Food Made Simple. This is a ticketed event, there will be no admission at the door. Space is limited so be sure to book HERE before it sells out! 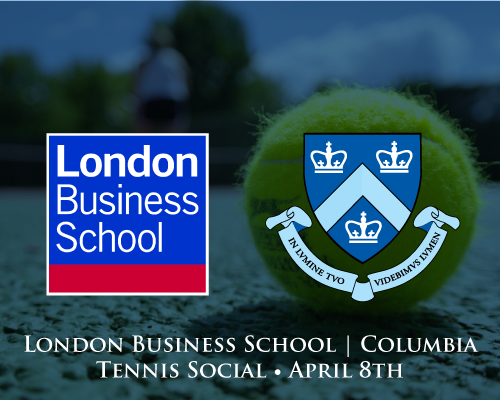 + chance to win a signed copy of "Korean Food Made Simple"
Our annual Columbia-LBS Tennis Social is here! Did you know we have a LinkedIn group? We have created this group for those alumni who want to network for business purposes, and don't use FB in that capacity. 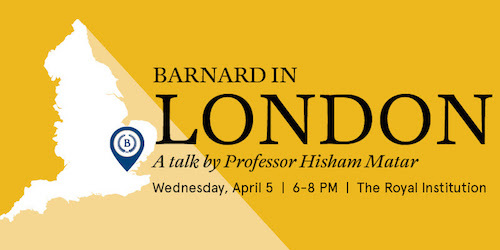 Please join and invite any fellow Columbia alumni too!